A mini version of a best-selling favourite. 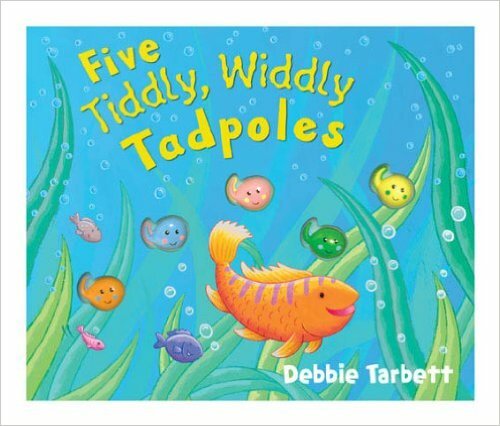 Follow the adventures of five tiddly, widdly tadpoles as they swim around the pond in this colourful counting book. With appealing illustrations and chunky plastic tadpoles to touch and count. “Two little tadpoles, Swim through bubble trails.